I looked at Walker Evans in previous modules he was an interesting photographer who was most famous for his work with the Farm Security Administration (FSA) for who he took a series of images depicting the effects of the depression on the farming community. This time however I looked more at the work he did with a hidden camera on the Subway of New York, Evans was really the father of this sort of clandestine photography and has been much imitated, not many of the people who followed him managed to do anything new in my opinion and I would rather look at these black and white images than say Martin Parr’s foreheads in the Japanese Subway. 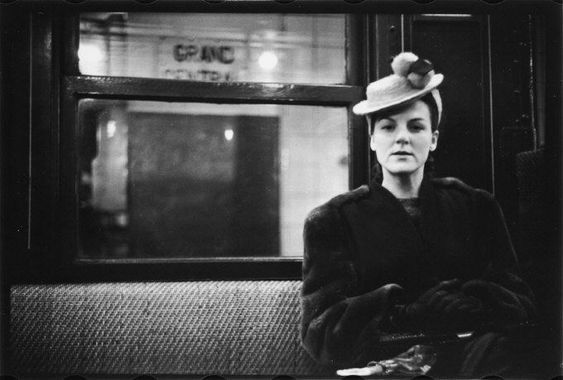 I have always liked the work of Walker Evans and really enjoyed studying these images, I was intrigued by some of the expressions of people who appear to be staring right at the lens of the camera, which was concealed under his coat, I wonder how many people knew they were being photographed.